The Hull Family Association (HFA) is a non-profit association, organized in October 1985 by a small group of Hull* descendants from Pennsylvania, New Jersey, Maryland, Virginia, and Colorado to develop, preserve, and exchange information on Hull history and genealogy in the United States. Note: This website contains no publicly available information. All genealogical data is maintained off-line, and is provided to HFA members only. We regret that, due to constraints of time and effort, we cannot respond to non-member requests for genealogical information. A list of genealogical benefits for members is available here. Non-members are welcome to submit queries using this query form. Our nationwide membership continues to grow steadily, and we currently have almost 500 active members. An HFA website was originally constructed by David L. Hull (HFA Member #0738) in late 1998. The present website was created by Douglas C. Hull (HFA Member #1153) in late 2001, and given its current layout in mid-2006 by David Hughes (HFA Member #1444). The HFA logo was designed by John Ware Hull (HFA Member #0337). Many are descendants of Hulls who came to America from England in the 1630s. However, many other origins are also represented, including other English, Scottish, Irish, Canadian, and German/Dutch/Swiss people named Hull. Many of the association’s members have been able to learn more about their own Hull history through contact with other HFA members. Our HFA Genealogist has compiled a list of more than 20 early (prior to the mid-1800s) immigrants as well as more than 425 other immigrants, and their descendants, who share our surname. Historical and genealogical issues were covered in the HFA Journal (1990–2018). The HFA sponsors an annual meeting, reunion, and picnic—the perfect opportunity to meet Hull relatives and other Hulls. This and other events and activities are announced to members. Members also receive access to a “members only” website that includes member contact information, a calendar, and Hull genealogical resource information. View the latest updates to the website. The HFA specializes in correcting wrong lineages, found in great numbers out on the Internet, in published and unpublished family histories, and in many other sources. We believe in documenting everything that we can. For our members, upon your request, we can send three family group sheets at a time, complete with our references, by e-mail, plus correcting errors that we spot in our members’ lineages. We are grateful to the generosity of our Patron Members whose contributions help offset the cost of placing our publications in one of approximately 30 libraries, and support special projects. See the list of Patron Members here, updated as of 29 Apr 2018. See also What’s New for updates to the website not posted under Breaking News. 04 Feb 2019 | Next 5 Years of HFA Journals Now Available: We are pleased to make the next batch of the Hull Family Association Journal available to all current members. This group, Vols. 13–17 (2002–2007) is now accessible via the master Tables of Contents list. Thank you to Steve Hull (HFA Member #1871) whose fine scanning and annotation are facilitating this project. 01 Dec 2018 | First 10 Years of HFA Journals Now Available: As was recently announced, the HFA no longer will produce print publications. To compensate for this, we are pleased to make the full run of the Hull Family Association Journal available to all current members. The first group, Vols. 18–28 (2008–2018) is now accessible via the master Tables of Contents list. Thank you to Steve Hull (HFA Member #1871) who is helping facilitate this project. 02 Nov 2018 | 2018 HFA Journal Table of Contents: We’ve posted the Table of Contents of the latest two HFA Journals. Please note that we’ve consolidated the TOC lists into a single page for easier browsing and searching. 19 Jun 2018 | 2018 HFA Reunion – Registration/Agenda: From Gregory Hull and Robert W. Hull, 2018 Reunion Hosts – The 2018 HFA Reunion and Annual Meeting will be held 27–29 September 2018 in Denver, Colorado. The Registration/Agenda are now available. 05 Dec 2017 | Hulls Offer Two New Books: A monograph devoted to the artwork of Gregory Hull, who also happens to be HFA President, is now available. 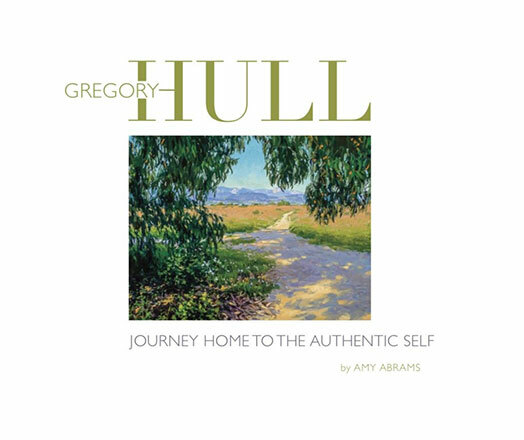 Gregory Hull: Journey Home to the Authentic Self is a handsome 162-page coffee table art book authored by noted art historian and award-winning writer Amy Abrams. Get details here. 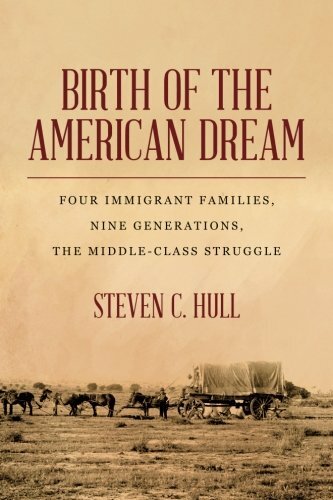 Steven C. Hull, a longtime HFA member, has released Birth of the American Dream: Four Immigrant Families, Nine Generations, The Middle Class Struggle. The book’s 512 pages take the reader from immigrant George Hull’s England through three hundred years of life in Iowa’s Des Moines River valley. Details available here. HFA members—and non-members who wish to offer Hull-related material—can submit queries, listed below, using this online form. To protect privacy, we do not post e-mail addresses; we will notify you when we receive a reply. Space permitting we also will publish queries in an upcoming issue of the HFA Newsletter. Notice to Non-Members: Query answers that contain not-commonly-available genealogical information are accessible to our members only. Non-members can feel free to submit a query, but when we notify you that we’ve received a reply to your query, you will be asked to join the HFA in order to view the reply (via our “members only” website). Query #444 – Marriage of Ezekiel Hull and Mary Denton, 1786: Seeking documentation for the marriage of Ezekiel Hull and Mary Denton. On 12 Nov 1786, Ezekiel Hull, born 1765 in Redding (Fairfield) Connecticut, married Mary Denton, born in 1765 in Goshen (Orange) New York, were married. Robert Sollars in “The Ezekiel Hull and Mary (Denton) Hull and The Platt Hull and Susanna (Sollars) Hull Families” Hull Family Association Journal 12 (3), Autumn, 2001, gives the marriage location as Connecticut, with no source. Weygant author of The Hull Family in America (1913) lists place of marriage as Syracuse, New York, also with no source. They both give the same date of marriage. Query #443 – Grandparent Betty J. Hull: Note: Due to a mixup by two members of the HFA Website Committee the following query was not posted on the HFA websites; it was, however, published as Query #441 in the Nov 2017 edition of the HFA Newsletter. We have assigned it a new number, 443, on the HFA websites. Seeking any information on my biological grandmother's life. She was b. 11 Mar 1923 and raised in Lincoln, (Lancaster Co.) Nebraska. She put my father up for adoption in Sacramento, (Sacramento Co.), California in June 1944. I know that she married a man, Wesley Lloyd Johnson, in the military and changed her name in January of 1945. I don't know where she was married. Her name changed from Betty J. Hull to Betty J Johnson. I don't know much about her life after she was married. I know she died and was buried in Clovis, (Curry Co.), New Mexico on 7 Dec 1998. She may have relocated to different cities throughout her marriage and had children. I am seeking any information about her life or potential relatives. 13 Aug 2018 Reply from the HFA Genealogist: We note by your lineage submission that you seem to have more Hull info preceding Betty Jean Hull. It is always helpful to include that info, too. Therefore, I am copying this below so that others might see more of your Hull line. We have not yet checked all of these remaining generations for accuracy. Query #442 – Vital Records Research: Is anyone aware of a list of states which still allow release of vital records for genealogical research (if any)? Perhaps such a list would also have contact-points of agencies which could be queried for the records. Thank you. 13 Aug 2018 Reply from the HFA Genealogist: I know of no such offering on the Internet. There are so many ways that we can access vital records instead of just one way. That would include birth records, marriages, deaths, town records, church records, courthouse, and cemetery records. I doubt that any state would have compiled all of this into one complete account for these records. If anyone else has info on this, please reply. 13 Aug 2018 Reply from Sandra Johanson, HFA Member #1953: You might try the Center for Disease Control website. They have an index button to find the Vital Records link here. It gives up-to-date information on where to write for vital records. You can then visit the links of interest and determine the information you seek. Happy Researching. Query #441 – William Preston Hull, TN: Note: Due to a mixup by two members of the HFA Website Committee the following query was not posted on the HFA websites; it was, however, published as Query #433 in the Nov 2017 edition of the HFA Newsletter. We have assigned it a new number, 441, on the HFA websites. I have a unique situation. My maiden name was Hull; my father was born in 1896. He was adopted by William Preston Hull in Tenn. But a picture I have of him as a young boy and his father; they bear a striking resemblance to each other. I would like to join the association and have the DNA testing done to see if there is a link to Hull DNA, which I believe would settle the question of parenting, and hopefully find out something about his family. I don't want to use the wrong DNA testing company so wanted your thoughts on this. I hate to join and go down another dead end road. Do you think this association can help? 13 Aug 2018 Reply from the HFA DNA Admin: I think William Preston Hull was the son of… [answer to this query is available only to HFA members; become a member here]. 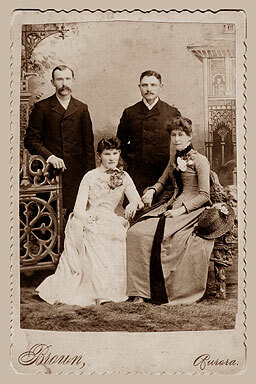 Query #440 – Desired Information: Who are the parents of the Elizabeth Hull Thompson listed below? : According to Find A Grave Elizabeth Hull was born on 8 Jan 1774 in Bennington, VT and died on 20 Apr 1858 in LaPorte Co., IN. Elizabeth (Hull) Thompson is buried in Salem Cemetery in LaPorte Co., Indiana. Elizabeth married Robert Thompson. According to the book History of Lake Co., Indiana, Elizabeth Hull was a cousin of Gen. Hull who surrendered Detroit in the War of 1812. 05 Aug 2018 Reply from the HFA Genealogist: We do not seem to have any info on this Elizabeth Hull. However, we would seriously doubt that she was a cousin of General William Hull, as he seemed to have no relatives in Vermont. Many people try to claim famous relatives when in fact there is no relationship at all. Perhaps others can help to identify this Elizabeth Hull.